High quality Shirt made of functional material with comfortable stretch and breathable elements that keeps the player ultra-dry. The anti-static cloth is OekoTex 100 standard certified. 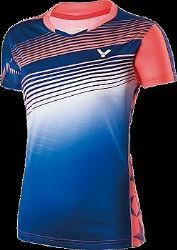 Official Shirt of the Malaysian Badminton national team.